We transform the girls with colour, lipstick, and lots of sparkle. 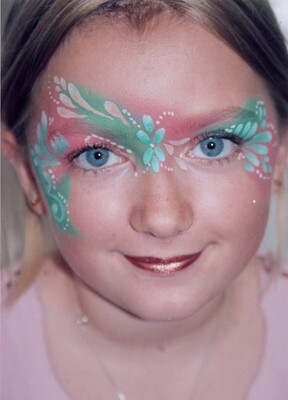 Butterflies, pink cats or princesses, we specialise in creating designs to match their party dresses. Our mirror is revisited many times throughout the party and photographs are a must to capture the smiles.